The medicine ball belongs to the classics of fitness and is still one of the most compact and most versatile devices. It is mainly used for fitness, rehab, and physiotherapy. In fitness and sports, the medicine ball is especially one of the most used fitness devices in boxing and Functional Training. The surface is very non-slip. The Taurus Medicine Ball is available in 10 weights from 1 to 10 kg and offers a great price-performance ratio. Does what it is supposed to do. Good grip, comfortable material and easy to clean. 9kg is a pretty heavy weight for a round object! Previous medicine ball training or a lower weight to switch it around is recommended! Does what it is supposed to do. Good grip, comfortable material and easy to clean. 6kg is already pretty heavy for a round shape object, be aware! Does what it is supposed to do. Good grip, comfortable material and easy to clean. 4kg is a nice starters weight! 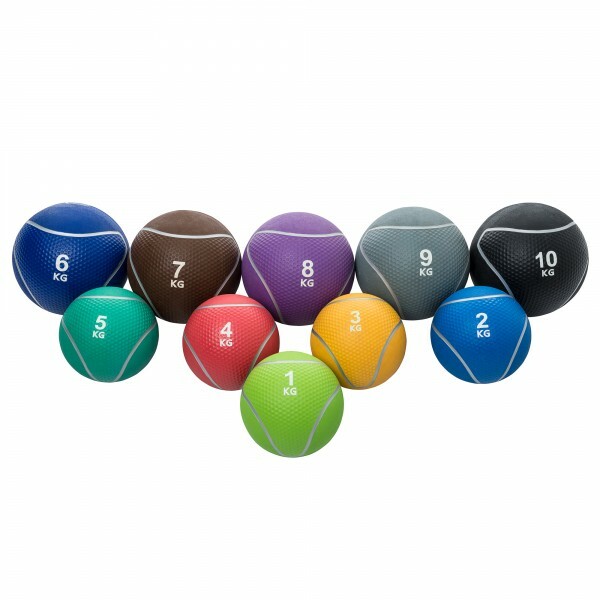 Taurus medicine ball stand Pro In stock!